Here are the conditions of entry which apply to WSET’s #WSETStudy Instagram promotion. Please read them carefully, as they contain important information you should know. 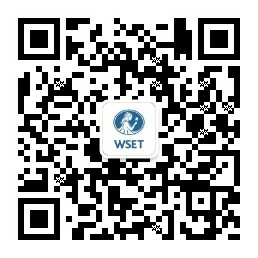 The competition is open to WSET qualification holders and students pursuing WSET qualifications. Employees of WSET, their family members, or anyone else connected in any way with the creation/implementation of the competition will not be permitted to enter. The competition will commence at 09:00 GMT on 22 October 2018 and all entries must be received by 00:00 GMT on 5 November 2018. WSET accepts no responsibility for any entries that are incomplete, ineligible, corrupted or fail to be submitted by the relevant closing date for any reason. Proof of sending is not proof of receipt. Entries via agents or third parties are invalid. To enter, entrants must post a photo of how they study for their WSET qualifications to Instagram, follow @wsetglobal, and use hashtag #WSETStudy. Only entries on public accounts will be acceptable. If entrants choose to remain private but would like to enter the competition, they may DM (direct message) the proof of the post as an alternative method. 1 winner will be selected at random and contacted privately via Instagram within 7 days of the competition closing date, to arrange delivery of their prize. WSET’s decision is final. No correspondence will be entered into. The winner agrees to the use of their Instagram handle and posted image in any publicity material. Any personal data relating to the winner and any other entrants will be used solely in accordance with current UK data protection legislation and will not be disclosed to a third party. By entering this competition each entrant confirms that their submissions are their wholly-owned creations and that, to the extent that such entries make use of any third party materials, these have been fully cleared unless they are no longer protected by copyright or other intellectual property rights. By submitting an entry, each entrant grants WSET a perpetual, royalty-free, non-exclusive licence to edit, publish, translate, modify, adapt, make available and distribute the entry throughout the world in any media now known or hereafter invented. Each entrant also confirms that anyone depicted in an entry has given their permission for the inclusion of their image in the entry and the use of the entry including their image by the entrant and the University. This competition is in no way sponsored, endorsed or administered by or associated with Instagram, Facebook, Twitter or any other social network. You are providing your submission to the Wine & Spirit Education Trust and not to any other party. The laws in some places don’t allow WSET to run this promotion, in which case the promotion and these conditions of entry are void in those places. If you are under 18, you have to get permission from your parents or legal guardian to enter. If you win, we may ask you to provide proof of identity, residency and age. If you can’t provide, or refuse to provide, suitable proof, then you may be disqualified, and we may choose another winner.